efforts in support of disaster recovery efforts from Storm Harvey. Chief Executive Officer Richard A. Montoni. 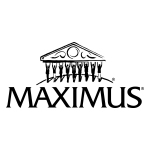 MAXIMUS has thousands of employees in multiple operations across Texas. United States, Australia, Canada, Saudi Arabia and the United Kingdom.